Nina Lockwood has a Master's Degree in Psychiatric Social Work and a Bachelor's Degree in Fine Art. 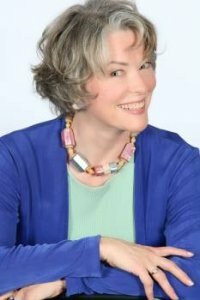 She is a Healing Touch Certified Practitioner/Instructor and has studied over a dozen energy modalities including Matrix Energetics, Anatomical Reflex Therapy, Touch for Health Kinesiology, PSYCH-K, EFT, Quantum Touch, Now Healing, Sedona and Therapeutic Use of Essential Oils. Nina has spent more than 25 years studying metaphysics, eastern traditions, esotericism, psychology and the arts. She has developed a unique coaching program which combines energy healing with action steps for positive change. Nina is also an artist working in mixed media, calligraphy and fabric collage.